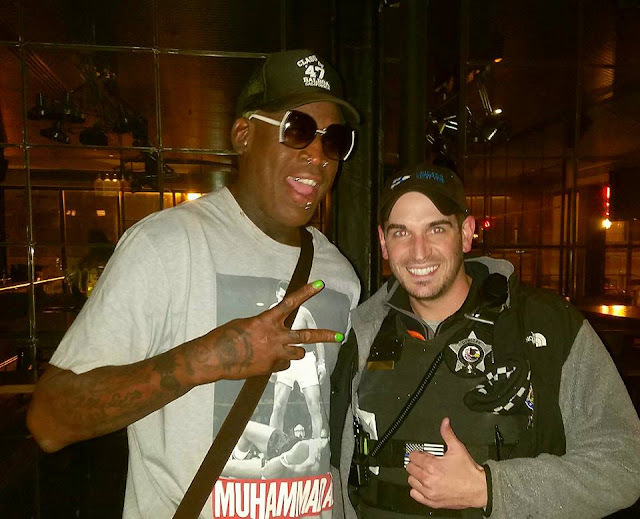 This is Part One of a three-part report on the relationship between policing and private security patrols in Wrigleyville and Boystown. See Part Two HERE. See Sidebar HERE. See Part Three Here. When business and community groups decide to hire private security patrols, they consistently suggest that the guards will be of off-duty police officers. Yet an extensive investigation by CWBChicago has found that off-duty cops rarely work private patrols on the North Side. And that’s the relatively good news. We found patrols staffed by a convicted felon, security officers who try to appear to be Chicago cops, and guards who aren’t even licensed by the state. The North Side’s Lakeview neighborhood is probably scoured by more private patrols than any other part of the city. A patchwork of at least six patrols covers a small area of the neighborhood near Wrigley Field: Southport Community Alliance; the Chicago Cubs’ Safe At Home Patrol; the Barry Ashland Racine Roscoe (BARR) patrol; two taxpayer-subsidized groups; and the Northalsted Business Alliance (NBA) all have their hands in the mix. The Southport group is funding patrols by American Heritage Protective Services of southwest suburban Alsip. A member of the Alliance claims that all of its patrols come from American Heritage's law enforcement division and all of its guards are off-duty or retired police. We have not been able to independently verify those claims. Patrols in the BARR district have been conducted by, among others, an off-duty Phoenix police officer. For the unfamiliar, Phoenix is a village of 1,900 people in southern Cook County. The Cubs have not stated publicly who it has hired to patrol the streets near Wrigley Field. But, they have said that the guards are "off-duty police officers." Yet no group has had its hand in privately patrolling the public way longer than Northalsted, which spent $75,000 for private security on its streets in 2015 alone. The vast majority of that money went to Walsh Security, a venture owned and operated by 19th District Police Officer Thomas J. Walsh. Walsh's firm has been patrolling Boystown’s bar strip ever since. Like other private security sponsors, Northalsted publicly states that their private patrol is comprised of off-duty police officers. Our investigation found the facts to be much different. Our team checked the backgrounds of fourteen men who worked for Walsh Security on Northalsted over the past two years. With the exception of Walsh, none of them is a Chicago Police officer, according to city records. And three of them have regulatory concerns. Two summers ago, we reported that Walsh’s Northalsted patrol staff included a convicted felon whose permit to work as a security guard in the state had been revoked years earlier. He lost his license after being convicted of posing as a cop in suburban Kane County. Related charges of armed robbery and armed violence were dropped in exchange for the man’s plea deal, according to a report on his defense attorney’s website. Walsh Security was said to be “reviewing its hiring process” after our report, according to the Northalsted Business Alliance’s then-executive director. But, the convicted felon is once again patrolling Northalsted for Walsh after receiving a probationary permit from the state. While it’s now legal for the man to patrol, hiring a convicted felon to protect the neighborhood is certainly different from hiring off-duty cops, as promoted. And our investigation has found that other men working for Walsh Security do not possess state-mandated licenses. Two of the fourteen men that we identified as Walsh Security workers are not licensed to work as security guards in Illinois, according to the Illinois Department of Financial and Professional Regulation. None of the fourteen men is a Chicago police officer. Also troubling is this: Some Walsh security workers have a practice of dressing like cops when, in fact, they are not. "...any person who wears or displays an article or insignia such as a checkerboard pattern hatband, Chicago flag shoulder patch, etc., is in violation of [state law] if it can reasonably be inferred that in wearing or displaying such articles or insignia he is falsely representing himself to be a Chicago police officer." Nonetheless, Walsh Security workers—who frequently wear police-like tactical vests and whose badges closely resemble Chicago Police Department stars—have been seen sporting checkerboard designs on radios and in their vest pockets. One Walsh agent has been seen wearing a checkerboard winter hat. None of the men involved is a Chicago cop. 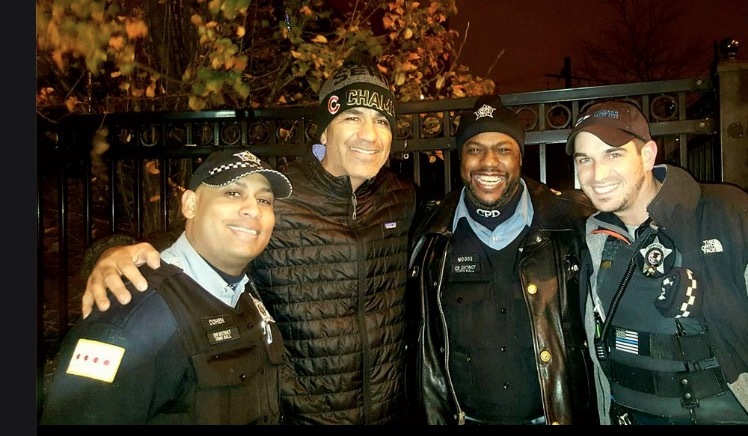 A security firm that hires a convicted police impersonator and then deploys guards who further blur the line by using Chicago police symbols such as checkerboard hats only seems to be asking for trouble. But that's only the beginning. CWB's series of reports continues on Monday. Walsh declined to comment for this report. The Northalsted Business Alliance did not respond to multiple requests for comment.